As much as we rave about The Hunger Games (never underestimate the power of a perfectly done Katniss braid), we have to admit that the books do leave a little to be desired...intellectually speaking. As fascinating as it is to discuss Peeta, Gale, and Katniss' ongoing love triangle, Suzanne Collins' trilogy just doesn't inspire the same caliber of discourse at the R29 book club as, say, a Haruki Murakami novel. For those of us longing for a little more substance when it comes to literature, this new NYC 'zine is just what we've been waiting for. 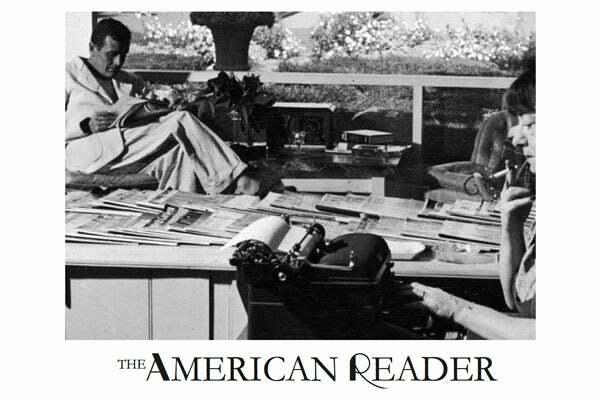 Enter: The American Reader was founded on a fire escape in Washington Heights, when Princeton grad (and EIC! ), Uzoamaka Maduka was mulling over the state of our culture's literary landscape with one of her fellow book-hungry friends. The result? A new, monthly, journal of criticism that is not your grandmother's lit mag. The twenty-somethings that make up the staff are determined to keep the journal edgy and youthful, while staying highly intellectual and high-brow. "There are conversations all over this city and country about literature," says Maduka. "And a good deal of those are being conducted by people in their twenties and thirties...we want to turn up the dial so we can hear one another." The publication launches online September 4, and in print October 1, meaning we'll soon be able to stretch our bookworm wings beyond the Twilight sagas of the world.